Thanks for taking time to look at this posting. Your questions and comments are what make posting these projects fun for me to do. I try to reply to all comments. So, check back for feedback. 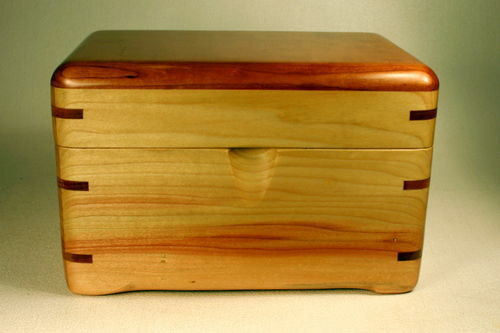 Pictured: A box (L 9 1/2” X W 6” X H 6”) that Handsome Jack made. 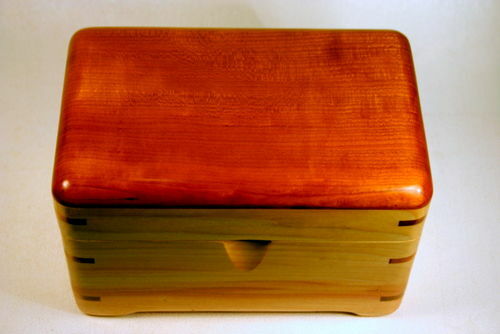 The sides are made of Bloodwood Box Elder and a top and corner splines are figured Black Cherry. 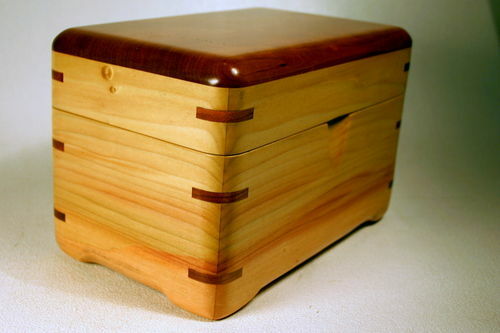 It features an attached top, hinged lid, splined corners, and faux feet. 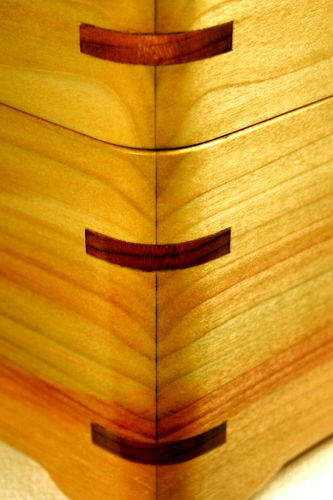 The splined corners with matching grain turned out great in Jack’s box. Story: Handsome Jack is a high school student who has been working with me for a couple of years now. I pay him to help with maintenance and projects that work better with two men. He joins me once a week and we work on projects together. We work from three to five hours depending on how much homework he has to do, or how much he has to do at his house. 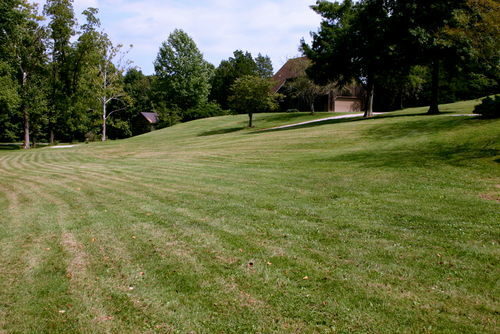 Sometimes we cut grass…there is lots of that to do in the summer. Sometimes we install new things in the shop like a big green board to hang jigs, new LED lighting and a six-inch pipe to hold wires. 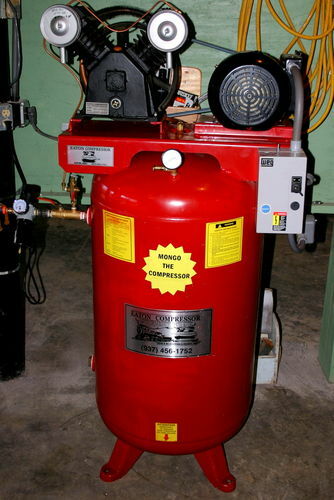 For several weeks we worked on plumbing and wiring while installing a compressor in the basement of the shop. Working together on projects involves laughing, and kidding back and forth when we mess up on our part of a project. In short, we have fun. During the winter months, Jack has been helping with finishing boxes and recently we made this box for him to take home. I think that it is important to pass woodworking skills on to the next generation. Very few schools teach Industrial Arts classes now. Where else are kids going to learn about woodworking if guys on Lumber Jocks don’t teach them? Look here for tips on teaching boxmaking. Keep boxing, keep posting, and start teaching. Cutting cloth liners for trays and the bottom of boxes. Making a serving tray with angled sides. That’s awesome youre teaching him woodworking skills. I had to teach myself and sometimes it hurt. Maybe my middle finger would work a little better if I had been shown some better saftey techniques on my table saw. big al let me give a gig hug buddy,god I love people who give of themselves and share what they have in monetary or more importantly,knowledge the greatest gift we can give.i can appreciate what you have done because I tried for years to pass on the gift of woodworking to my own son,he never was interested until this last year and now the the flood gate of yerning for knowledge has opened wide.your a good man al-god bless,oh and before I forget,a nice box as always. ps-your now on my buddy list weather you like it or not!-LOL. Great story and great box. Keep up the wonderful box making and teaching. Pumperdude, thanks for the kind comments. I did have fine teachers. A couple dealt in wood most of them dealt in knowledge about the world and how people work. Teaching often works both ways. Jack has things to teach me, and i certainly am grateful for his help on projects. I don’t climb up ladders as well as he does. He makes touching the floor look so easy. It has been a joy to watch him grow and learn. Dude, it is time for you to post some projects. Linkovitch, all woodworkers dread getting injured by the tools of the trade. I have tried to teach myself and Jack to have good work habits. I also never work in the shop when I am tired or not alert. That is asking for trouble. Hope you continue to heal. You have made some beautiful boxes. I like the variety in what you do. Pottz, thanks for the “buddy.” It is always an honor to be so blessed. I am glad your son came around to woodworking. My son is a fine man and a good father and husband who is very skilled in what he does, but woodworking was not his thing. So, that freed me up to “adopt” other young men who did want to learn about woodworking. Several of them now have their own shops and are working on their own projects. So I guess in a sense they have “graduated.” In my book, that is a good thing. Drew, thanks for taking time to comment and encouraging me to keep posting. I liked the variety of projects…lamps, boxes, clocks, trivets. Fun, well done projects. Thanks Al. You’re always so nice. I hope to have a few more projects done soon. al thank you for making this a great Friday night my new “BUDDY”.this is lumber jocks!and what makes it the greatest forum on the net!!! !.god bless woodworkers!!! Nice post, ... but where is a picture of Handsome Jack. 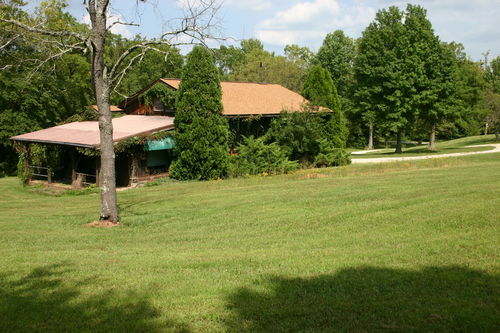 nice mowing too, ... did you do that with a push mower (powered one that is) or ride on? 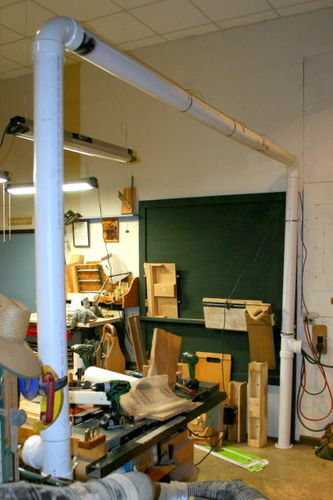 Teaching the young is very important and I often wonder where I would have gotten my start in woodworking if it weren’t for the shop classes I took in High School back in the 60’s; Metal shop, Woodshop and Drafting. Now most schools have dropped those classes. It’s great that you take the time to help Handsome Jack; what he learns will affect the rest of his life. Well done sir! The box turned out wonderful! The grain is so beautiful. Outstanding work guys! Doc, you have caught me at it again. Teaching without a license is probably illegal where you live, but here in Southern Indiana I can get by with it. Linkovitch, and Pottz, what nice responses, thanks. Have a nice weekend. Make some sawdust. Rob, Jack and I cut grass with a 35 HP Kabota tractor. I took a picture of Handsome Jack mowing this spring, but I couldn’t find it for this post. 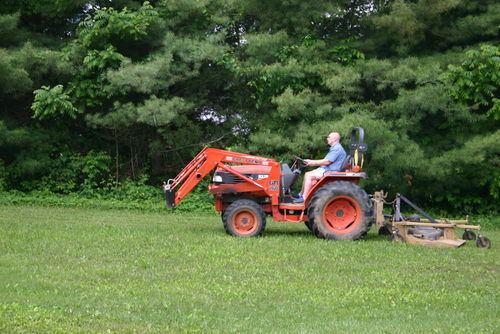 Here I am using the tractor. My buddy, Joe, helped me mow when I was ill. This is my future helper. Pottz, I agree. You probably can’t take Rob too many places. I think that is why we see him at home doing great woodworking projects all the time. I wouldn’t call Handsome Jack a gardener. My motto is: ”If you can’t bushhog it or chainsaw it, don’t plant it.” That said, Handsome Jack loves to drive the tractor. He smiles and sings while he mows. Makes me feel guilty paying a kid to have that much fun. 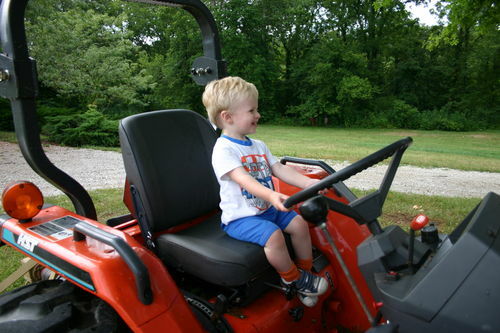 This tractor with power steering, hydrostatic transmission, and four-wheel drive makes cutting the lawn fun to do. 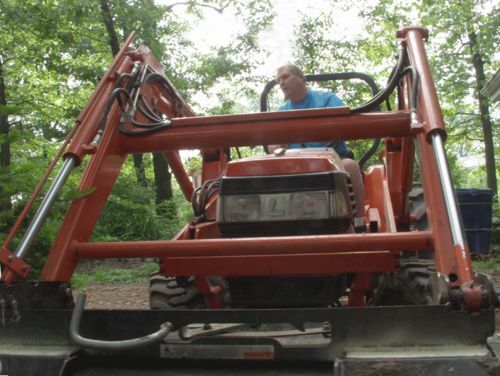 Cutting a five foot wide swath, it will mow five acres of lawn in about two and a half hours. Tony, thanks for the kind words, always great to hear from you again. You are really stacking up the project posts. Those drawers for your bench look beautiful. Mr. Lawrence and Mr. Steffy did a great job of teaching shop classes when I was a high school freshman. Of course I also learned from my dad. Hey Al – another nice box and a great post. 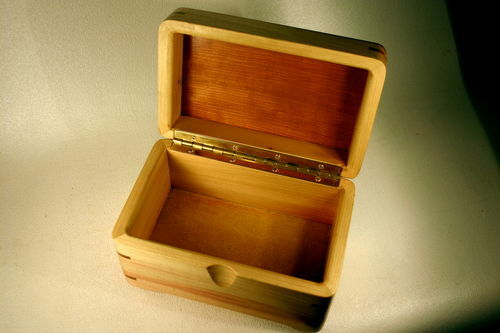 My better half keep asking me when I’m going to make her another jewelry box to go with the one I bought from you. I can relate to Pottz except from the other side. I wasn’t really very interested in woodworking when I was in HS. During college I was busy learning engineering. After college it took another 5 years before I started to get interested. I learned some basics from time spent with my dad when we would visit them, and the rest has been self-taught. Al, first that is a beautiful box. Well done! Second, what you are doing for young Jack is wonderful. The memories you and him are making will stay with him a lifetime. I agree, we need to pass our skills along.